When Moscow banned European food imports last year in response to Western sanctions over its actions in Ukraine, Norwegian salmon fishermen were faced with a problem. Russia was the Norwegian fishing industry’s single largest export market. But the Norwegians were craftier than the Kremlin and found a way to wriggle off this hook. Within days, they were exporting their fish—most importantly salmon—to landlocked Belarus, which has a customs union with Russia. From there, it made its way to Russian fish counters. Between August and September of last year, sales of Norwegian fish to Belarus nearly tripled, from $3 million to $9 million. But this August, the Russian government plugged the hole that allowed Norwegian salmon and other European delicacies to get to Russian shops. 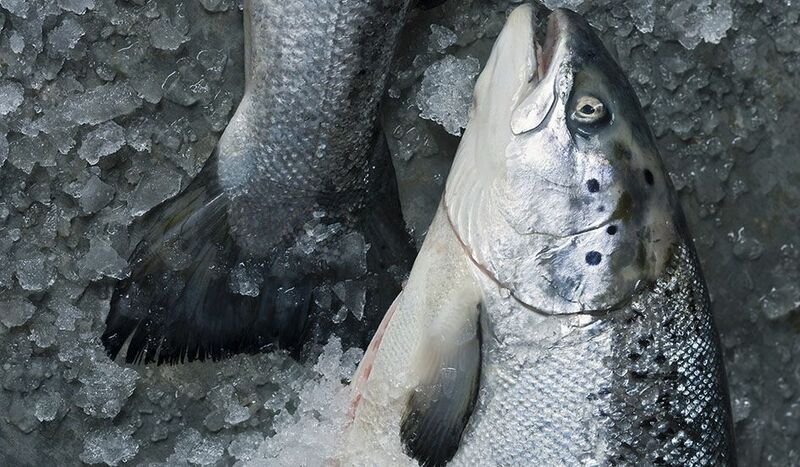 Between January and July of this year, Norwegian salmon sales to Belarus amounted to $24 million, compared with $17 million during the same period last year. Although the Belarus loophole was entirely legal, the Kremlin decreed in August that from now on all food originating in banned nations will be destroyed. That includes deliveries confiscated at the border and products arriving from Belarus that have made it to shops and warehouses. In sometimes surreal scenes, thousands of tons of cheese and other food have been bulldozed and burned. The move has caused widespread outrage—and proved an irresistible source of jokes. A tweet suggesting that the Russian Federal Customs Service’s coat of arms should be Saint George slaying a sausage has been retweeted several hundred times. The sanctions have led to hardship for Russia’s poor because of higher prices of foods such as fruit, vegetables and dairy products. The Russian economy shrank by 4.6 percent in the second quarter of 2015, hit by the sanctions and lower oil prices. Tens of thousands of Russians have signed a petition demanding that instead of destroying foreign foods at the border, authorities should redistribute them to people in need. "Why should we destroy food that could feed war veterans, pensioners, the disabled, families with many children, victims of natural disasters and other groups in need?” the petition reads. At an upscale Moscow shop in August, the government’s efforts appeared to have borne fruit. All the salmon available was Russian, and the staff reported not having seen “Belorussian” salmon for months. Several importers of Norwegian fish have gone bankrupt.